Do I want to go to war in order to maintain the fiat dollar currency that presently creates such financial insecurity for me and my family? This is the question a discerning American must ask before allowing the secret government now controlling the US to instigate WWIII via disinformation. PLEASE BE DISCERNING WHEN LISTENING TO OR READING THE MAINSTREAM MEDIA! Efforts to instigate World War III continue; therefore Americans must be discerning. An internet media article title caught my attention recently, indicating Russia is getting revenge by moving away from the dollar as the world’s reserve currency. Instead, what President Putin is doing is assisting the nations of this planet to create a Win-Win relationship between nations in which all are sovereign and have the opportunity to prosper in accordance with their sovereign choice within the BRICS ALLIANCE. The NEW ECONOMY, about which there is all sorts of disinformation, intends to do away with fiat currency and have the dollar returned to something of real value and to have it issued according to the American Republic’s Constitution. Which would you prefer? A fiat dollar that lacks any intrinsic value and controlled by a group of private individuals interested only in their own wealth … OR … a currency backed with precious metals that will remain stable in value—meaning no more deflation, inflation, or depression? In order to decide: Find a dollar bill of your own. Let’s study it. Across the top of the bill, we are told that the bill is a Federal Reserve Note. It was not printed in accordance with Section 8 of the Constitution of the united states. The Federal Reserve Note is paper and cannot be exchanged for anything of value. In fact, you hold only a piece of paper. The Federal Reserve is owned by eight private families … it is not an institution created for the people. IN CONTRAST, LET’S LOOK AT A $20 BILL PRINTED IN ACCORDANCE WITH OUR CONSTITUTION SHORTLY AFTER THE PASSAGE OF THE FEDERAL RESERVE ACT IN 1913 & BEFORE OUR CURRENCY WAS CHANGED TO THE FEDERAL RESERVE NOTE. Americans holding gold or silver backed currency were required to turn it all in and to, instead, begin using the Federal Reserve Notes. I have samples only because I found them hidden in an old family dining room chest of drawers. I use them for illustrations of the past. 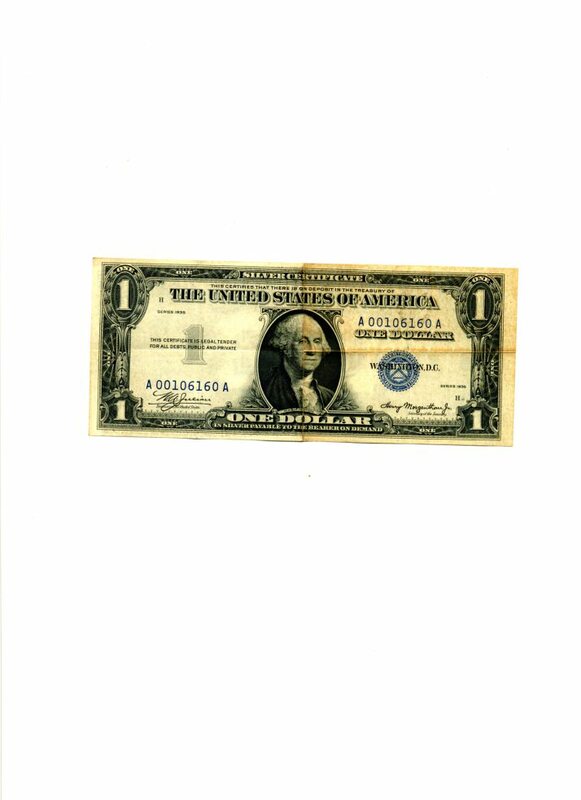 We are told across the top of the bill “This certifies that there has been deposited in the Treasury of the United States of America … (move down beneath the picture of Washington) …Twenty Dollars in Gold Coin … Payable to the Bearer on Demand. This piece of paper is actually worth $20 in gold coin! The Constitutional Financial system is based on equity, not debt. This piece of paper actually has value for YOU. There could be no huge national financial deficit, crippling our society, with an equity based economy. Basil III—the new system—is equity based. Currency based on precious metals will eliminate inflation and deflation. The value of a $20 gold certificate and a $1 silver certificate will remain stable. There would be no threat of another depression because precious metals based currency is not impacted by the strength or weakness of the issuing nation’s economy. The question a discerning American must ask before allowing the secret government now controlling the US to instigate WWIII via disinformation: Do I want to go to war in order to maintain the fiat dollar currency that presently creates such financial insecurity for me and my family? Filed under: Bankers' Wars, Fiat Currency |	Comments Off on Do I want to go to war in order to maintain the fiat dollar currency that presently creates such financial insecurity for me and my family? This is the question a discerning American must ask before allowing the secret government now controlling the US to instigate WWIII via disinformation.